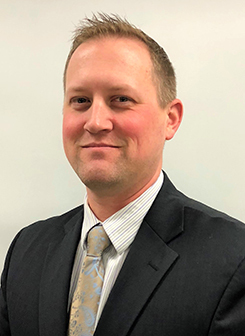 Steven Smith has joined The Christman Company as regional safety manager, overseeing project safety and educating employees and trade contractor partners in support of the company’s comprehensive safety program. Previously serving as site safety manager at HTH Companies, Inc. in both Knoxville, Tennessee, and Beloit, Wisconsin, Smith fostered a culture of safety throughout the organization. He also served for six years as safety and training supervisor at Noble Corporation in Sugar Land, Texas. Smith is a U.S. Marine Corps veteran, attaining the rank of corporal. He was based at Camp Pendleton, California; Camp Lejeune, North Carolina; and the Naval Construction Battalion Center in Gulfport, Mississippi. He earned a bachelor’s degree in political science from Penn State University and currently is pursuing a bachelor’s degree in occupational health and safety from Columbia Southern University. Smith holds industry certifications, including Occupational Hygiene Safety Technician (OHST) from the Board of Certified Safety Professionals and ServSafe Manager. He has completed OSHA 30 General Industry training. Smith and his wife, Crystal, reside in northeast Knox County with sons Samuel, Aiden and Grady. An avid traveler, Smith has lived in three countries and visited 16. In his spare time, he enjoys restoring classic cars. The Christman Company, founded in 1894, is one of the country’s leading professional construction services firms. The company’s award-winning services include construction management, general contracting, design/build, program management, real estate development, and self-perform skilled trades. Christman specializes in a variety of construction markets, including higher and K-12 education, government, industrial and power, healthcare, and corporate office. Ranked at 110 in the Engineering News-Record ENR 400 top contractors nationally, Christman has more than $3 billion in construction underway managed by 400 professional employees in 10 different office locations throughout the Southeast U.S., the Midwest, the Southwest U.S., and the mid-Atlantic. For more information, visit christmanco.com and connect on Facebook, LinkedIn or Twitter.